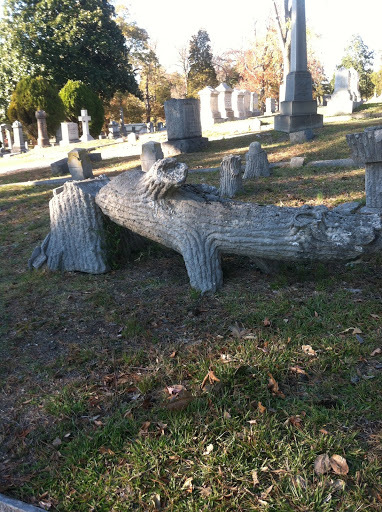 Grave markers in the shape of tree trunks are fairly common in the cemeteries that I’ve visited in southern Virginia and North Carolina. 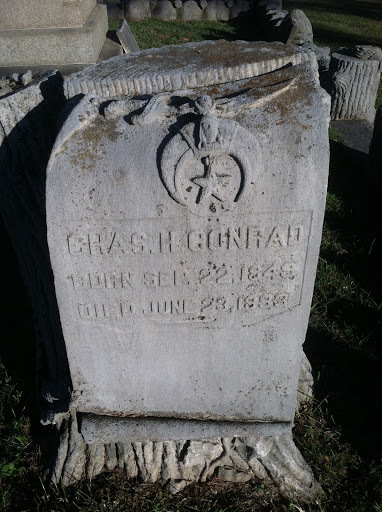 When I visited Danville’s Green Hill Cemetery I noticed an especially large concentration of them. 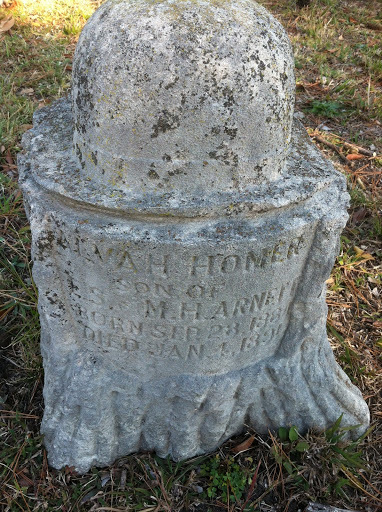 Tree markers are not limited to members of Woodmen of the World. 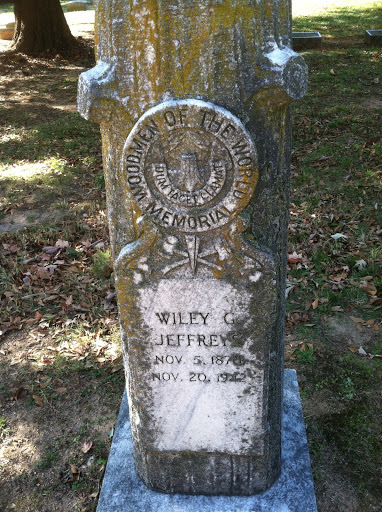 In fact, only those markers that have the WoW emblem indicate former members of the fraternal organization. 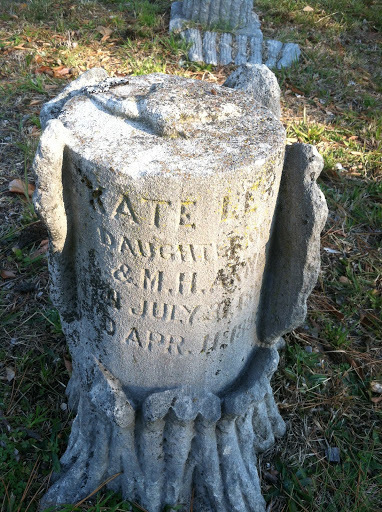 For more information on that, I found this blog entry which goes into more detail. Depending on how the tree is displayed, a tree marker can be symbolic of different things. 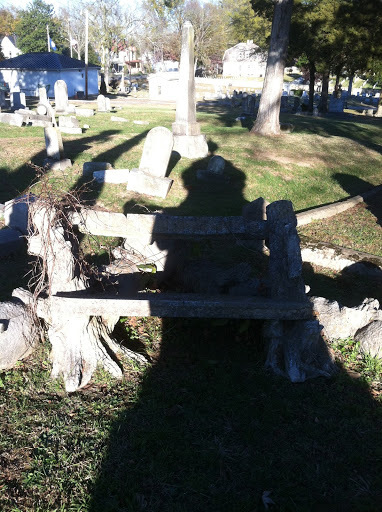 A felled tree is usually representive of someone who has lived to a mature or old age. 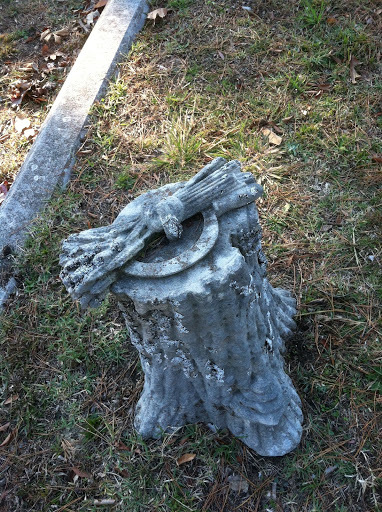 Tree stumps or cut tree branches indicate a life that ended prematurely. 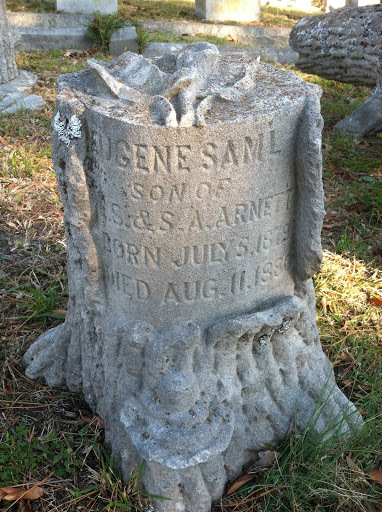 The length of the tree branch, height of the stump, or position of the branch on a family tree marker can give clues as to when the person died in relation to his or her parents and how long they lived. 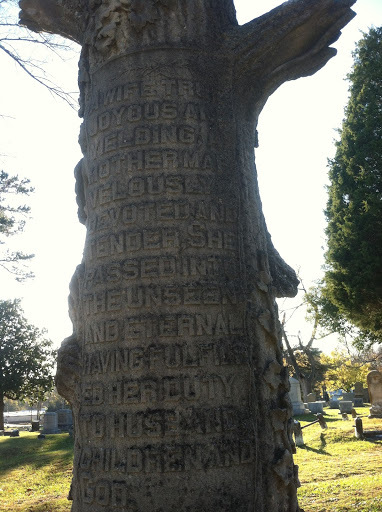 Ivy on the tree is used for the patriarch or matriarch of a family. 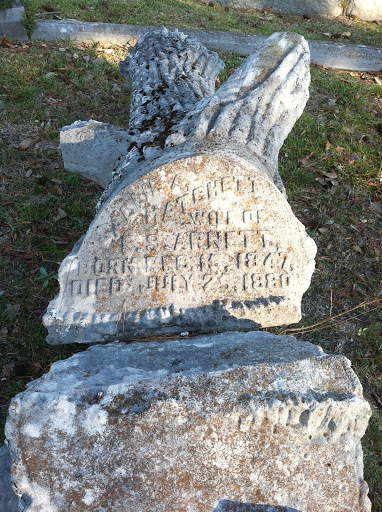 The rear view of Willis Arnett’s marker. 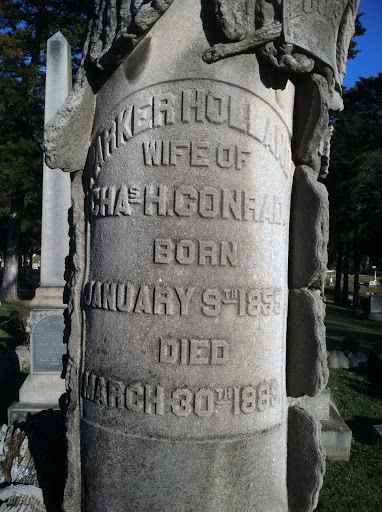 The other side of Mary “Parker” Conrad’s marker.